Any claim that a debtor may have at the time a bankruptcy case is filed is considered an asset and must be disclosed to the bankruptcy court. This includes lawsuits that are currently pending in court or through an administrative process, and those that are not yet filed. Social Security Disability claims, Worker’s Compensation claims, unemployment claims, class action lawsuits, and personal injury lawsuits are all claims that must be disclosed to the bankruptcy court. Keeping any money obtained from a legal claim (after settlement or adjudication) depends on several factors. For instance, if the bankruptcy case is a Chapter 13, the debtor does not lose any property, but must pay unsecured creditors an amount equal to the value of non-exempt property. Another factor is whether the claim or any money received from the claim is “property of the bankruptcy estate.” Some legal claims, like retroactive social security benefits, are protected by law and are excluded from the debtor’s bankruptcy case. Money from a legal claim may be protected using federal or state law exemptions. In some cases a claim is entirely exempt; in other cases a claim is protected only to a certain dollar amount. The Bankruptcy Code states that the debtor must disclose “all legal or equitable interests” in property as of the date the bankruptcy case is filed. The debtor who fails to report an interest in a claim and later receives money is at risk of losing the entire payment. The bankruptcy judge and trustee will be very reluctant to permit a debtor to keep money that was hidden from the court, and the court is likely to disallow any claim of exemption. In some extreme cases, the trustee may complain that an omission is intentional and ask to revoke or deny a discharge on the basis of fraud! The federal bankruptcy laws contain powerful protections for the honest debtor. It is extremely important to discuss any pending or potential claim with your bankruptcy attorney. Reporting any claim is the first step in protecting any money from turnover to creditors. Your attorney can also cooperate with any concurrent litigation to maximize your recovery. The Schuerers were convicted of Bankruptcy Fraud in Pensacola, Florida, and ordered to serve 30 months in in prison, pay a $25,000 fine and a $200 special assessment was imposed on each defendant. Also, the couple was ordered to pay the U.S. Trustee $394,984. So the moral of this story is do not "sell" your property to friends or family prior to filing bankruptcy. CEDAR RAPIDS, Iowa - Gerald and Fay Schuerer of Amana were convicted of defrauding bankruptcy creditors out of more than $350,000 in property this week following a six-day trial in Pensacola, Fla.
Gerald Schuerer, 60, and Fay Schuerer, 58, were convicted of mail fraud and bankruptcy fraud on Monday, Nov., 8, following three hours of jury deliberations, according to the United States Attorney for the Northern District of Iowa. The couple had formerly owned the Ox Yoke Innterstate in the Amana Colonies before running into financial trouble with a convenience store business that later closed. They had been indicted by a federal grand jury in Florida, where they had moved and filed their bankruptcy case to take advantage of the state’s more liberal bankruptcy filing laws. Evidence presented at trial indicated the couple protected from creditors before their bankruptcy filing through sham sales to relatives with understandings that they would reacquire the assets after their bankruptcy protection was granted. Among the assets were a vehicle, boats, jewelry, stocks and other investments worth about $380,000. The Schuerers were released on bond pending sentencing by United States District Court Judge Casey Rogers at a date to be set later. The maximum possible sentence for the offenses would be 30 years in prison, a fine of $500,000, and six years supervised release. The case was investigated by the Federal Bureau of Investigation with help from the Office of United States Bankruptcy Trustee in the northern districts of Iowa and Florida. It was prosecuted through efforts of the Bankruptcy Fraud Task Force of the Northern District of Iowa. The federal government plans to seek restitution for the Schuerers’ creditors at sentencing, according to a prepared statement released by United States Attorney Stephanie Rose. Debt collectors can be ruthless. Persistent telephone calls at home and work, embarrassing letters in red envelopes, calls to friends and family, and even public posts to your Facebook account are all dirty tactics that debt collectors employ to harass you into paying. Fortunately, there are laws that protect you from unlawful creditor harassment. Another federal protection is the Fair Credit Reporting Act (FCRA). The FCRA is designed to promote accuracy and ensure the privacy of the information used in consumer credit reports. The FCRA contains a dispute process for correcting inaccurate information placed on your credit report. More information about the Fair Debt Collection Practices Act and the Fair Credit Reporting Act can be found on the Federal Trade Commission’s Bureau of Consumer Protection website. The FTC is charged with enforcement of both acts. Hiring a bankruptcy attorney provides immediate relief from creditor harassment under the FDCPA, and all collection action must cease the instant you file a bankruptcy case. This protection lasts the duration of your bankruptcy and is replaced with the bankruptcy discharge at the end of your case. A creditor who violates these bankruptcy prohibitions can face a contempt of court charge in the federal bankruptcy court. Don’t let creditor harassment overwhelm your life. Take charge by consulting an experienced bankruptcy attorney about your debt and learn how the federal and state laws can protect your property, your income, and your peace of mind. Debtors in bankruptcy are required to disclose all household income and expenses. While the debtor’s income is often relatively easy to determine through pay stubs and bank records, calculating expenses can be more elusive. When completing your bankruptcy schedules it is important to be realistic. Often changes in the economy can significantly affect your budget. The recent spike in gas prices has impacted the budgets of American families, and changes calculations within your bankruptcy case. The U.S. Energy Information Administration recently determined that the average price for a gallon of regular unleaded gas in the United States is $3.567. That is a change of almost $.78 from the same time last year. Many economists believe that the national average will climb to over $4.00 per gallon. In fact, in some states (notably California) gas is already over the $4.00 mark. It is important to account for this increase in your family’s budget. If you drive 12,000 miles per year and your car averages 25 miles per gallon, you use 480 gallons of gas per year, or 40 gallons per month. At the national average price of $3.567 per gallon, you spend almost $143 per month on gas. That is already $31 more per month/per vehicle than a year ago. If gas prices climb to $4.00 per gallon, the additional cost to a two income, two car family will be approximately $97 per month more than last year. Higher gas prices have also contributed to an increase in food prices. According to the U.S Department of Agriculture, food prices for a family of four with school-aged children averaged $1184.50 during the month of January. That's $26.20 per month more than the same time last year. While not every budget increase will necessitate a change in your bankruptcy schedules, any significant change that occurs after you sign your bankruptcy schedules should be brought to the attention of your bankruptcy attorney. While only a small percentage of cases will be affected by increases to a debtor's expenses, it is important to keep your attorney apprised of changes in your finances during your case. If you are a homeowner who owes more money on your mortgage than your home is worth, there are a several options for saving your home. One of the latest is an $11 billion program through the Federal Housing Administration called "Short Refi." Under this program a non-FHA borrower may be able to obtain a new FHA-insured mortgage. To qualify for the Short Refi program, the homeowner must be current on the monthly mortgage payments. The new primary FHA-backed loan cannot exceed 97.75 percent of the value of the property; and the second mortgage cannot exceed 15 percent of the property value. Additionally, the lender must agree to write off at least 10 percent of the loan’s principal balance. Fannie Mae and Freddie Mac loans do not qualify for the Short Refi program. The New York Times reports that 23 lenders have signed on to the Short Refi program and are offering refinancing. Notable non-participants are Bank of America, Citibank, and JP Morgan Chase. There are several programs available to save an underwater mortgage, so the homeowner is not stuck with a “one-size-fits-all” refinancing dilemma. One federal refinance program that has seen some recent success is the Home Affordable Refinance Program (HAMP). Refinancing a mortgage under HAMP during bankruptcy is specifically authorized and can save the homeowner significant money when combined with a bankruptcy discharge. Additionally, debtors in Chapter 13 bankruptcy may be able to strip off a second or third mortgage if the loan is entirely unsecured. For instance, if the value of the home is $200,000, and the first mortgage is $200,000 or more, then any additional mortgage or lien on the property would be entirely unsecured and could be stripped off during Chapter 13 bankruptcy. If your home is underwater and you are struggling with debt, speak with an experience bankruptcy attorney and discuss your options. In many cases you can discharge your unsecured debt through bankruptcy and refinance or modify your underwater home loan to new, affordable terms. Get the facts about rescuing your underwater mortgage today. During a Chapter 7 bankruptcy case, all of the property in the debtor’s “possession, custody, or control” is part of the bankruptcy estate. If there is estate property that is not exempt from collection, the bankruptcy trustee may require turn-over the property to pay creditors. It is therefore extremely important to accurately identify all of the debtor’s property and its status prior to filing a bankruptcy case. One situation that can cause headaches in bankruptcy is misrepresenting the actual balance in a checking account on the day the bankruptcy is filed. If the debtor is unable to exempt the cash balance in a bank account, the trustee may require its turn-over, even if the cash is subsequently spent. Delays in filing a case can sometimes lead to checking account issues. For instance, the debtor believes that the case was filed the day before payday, when actually it was filed on the debtor’s payday. The bankruptcy schedules report $100 in the bank account, when actually the amount is $1,000. Negligence can also be a factor in bank account mishaps. One common mistake is reporting the checking ledger balance instead of the actual bank balance. The United States Supreme Court held in the case of Barnhill v. Johnson, 503 U.S. 393 (1992), that the transfer of funds occurs when the bank honors a check. Therefore, if the bank balance is $2,000 and $1,900 is written in outstanding checks that have not been honored by the bank, the full $2,000 is property of the estate. Preventing the above problems is simply a combination of good bookkeeping and good communication. First obtain your actual bank balance, and account for any direct deposits, pay checks, and any outstanding checks. Next discuss the situation with your bankruptcy attorney. 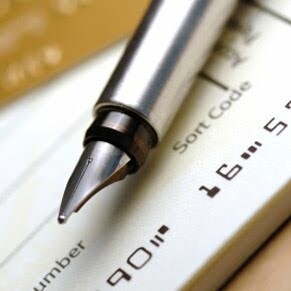 Be careful about writing checks just prior to filing bankruptcy. In some cases pre-filing financial transfers can cause additional issues in your bankruptcy. It may be prudent to delay your bankruptcy filing until certain checks clear or your paycheck has been spent on necessities. Avoiding surprises and problems in your bankruptcy case takes cooperation between you and your attorney. Immediately inform your attorney if you have changes in your property, debts, income, or expenses after you have signed your bankruptcy petition. payday. The bankruptcy schedules report $100 in the bank account, when actually the amount is $1,000. checks, and any outstanding checks. Next discuss the situation with your bankruptcy attorney. bankruptcy filing until certain checks clear or your paycheck has been spent on necessities. income, or expenses after you have signed your bankruptcy petition.